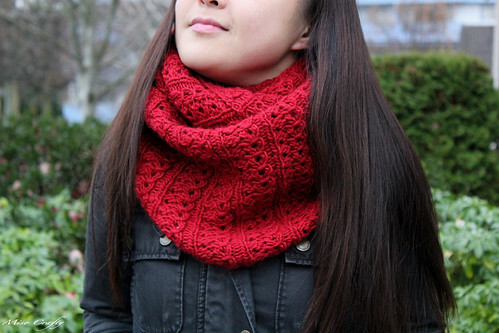 Miso Crafty Knits: A Mission Accomplished! S-U-C-C-E-S-S, that's the way we spell Success! Yes, I'm channeling my inner cheerleader cause boo-yeah! I've accomplished the 12 in 2011 goal! Ohhhhh yyyyyyeah! Actually, I had accomplished this mission back in September but didn't realize it 'til now when I was going through all my lists and was trying to figure out the things I've completed this year. How awesome is that? It's always such a boost to find out that a goal you've been working towards all year finally comes to fruition. Even more so when you don't realize it until after the fact. Man, I feel good! 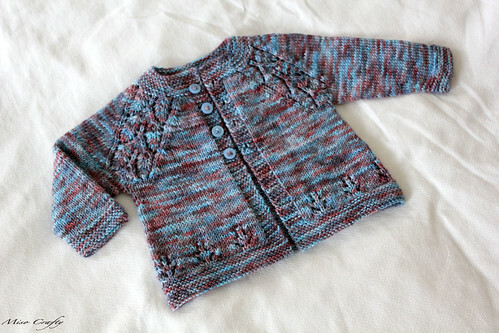 Both projects were knit using yarn that I had before I even considered myself a knitter! Yowzas! I'll admit it's an awesome feeling to get those out of the stash, even though I didn't even know that they existed. I'm thinking I need to do a complete and total overhaul of ALL my crafting supplies and do a thorough inventory. It also wouldn't hurt to toss the stash every now and then to remind myself of what I have. I'm actually quite surprised at myself for keeping up with the whole 12 in 2011 goal. I honestly thought I would give up halfway through the year. I was definitely tempted to knit up every single new pattern the second they came out and was itching to cast on with newly purchased yarns the moment I got home or when they arrived, but I persevered and stuck with the plan. I mean, I had queued these patterns ages ago and for a reason (such as I really like them, or why else would I have queued them? 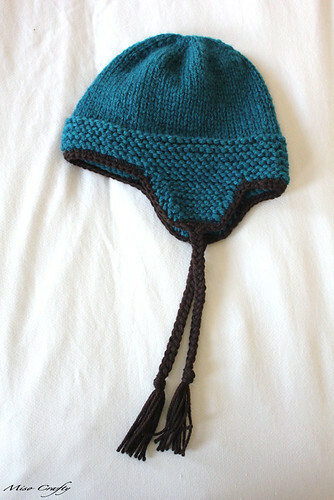 ), and have been wanting to knit them up for-evah. 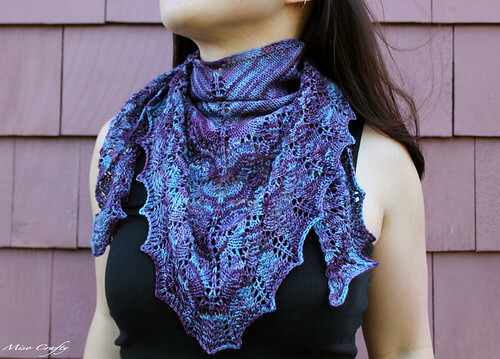 I would always feel guilty about casting on newer patterns that were at the bottom of the queue, so it does feel quite awesome to finally knit those 'top of the list' patterns! 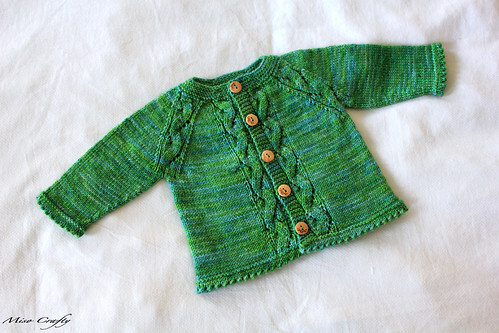 I'm also quite pleased that I did my 12 projects with three months to spare, even though I feel like I kinda cheated by knitting three baby sweaters. Oh well. I could have spent the entire year knitting nothing but dish cloths, wrist warmers, and bookmarks and then go around claiming that I'm on my two millionth project of the year. That's not what 12 in 2011 is about, but sadly some people started to view it as a competition. 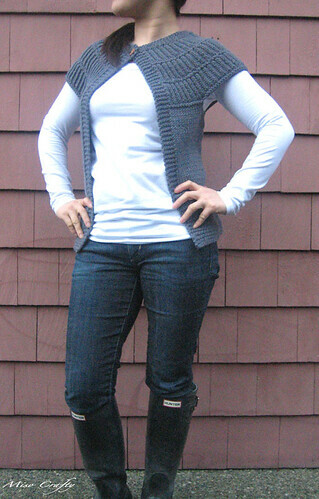 I'm just happy that I had knit every project from stash (most of the yarns were from when I was just starting to have a stash and when I was starting to shop at my LYS rather than Walmart), and that all of the patterns were either at the top of the knit-list, free, or were bought and then quickly forgotten and ditched when an even newer pattern come onto the scene. I had a game plan and I stuck with it. Changing only a few projects...like Shalom. 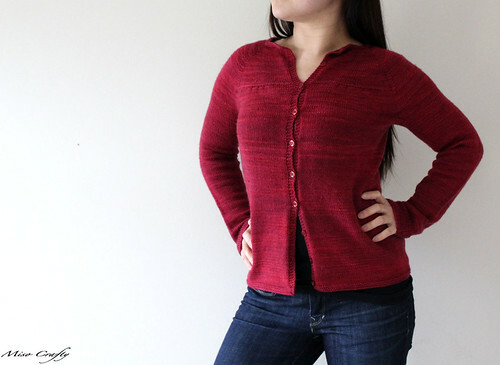 The original pattern in mind was something that I had started knitting and ended up frogging before the yoke was finished - when I realized that the design was just all shades of wrong for me. The three baby sweaters were all suppose to be different, but who can predict that everyone was going to have their baby at around the same time? 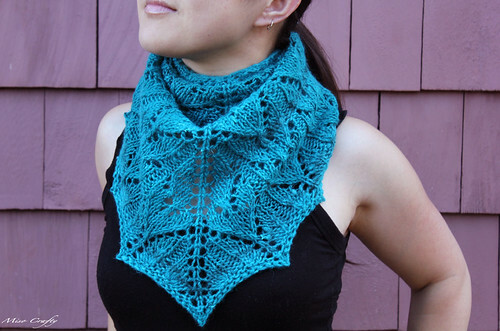 Not to mention that one of the patterns I had bought yarn for (gasp!) and therefore didn't count. Since 12 in 2011 was such a success for me, I think I'll do a similar goal for 2012. This time around I plan on mixing up the patterns I queued ages ago with newer patterns...cause who knows how much longer my will power will last! I'm also thinking of going bigger...as in a sweater a month big. Oh yeah. I plan on going there. I guess that means I'll have to go through my Ravelry queue and really weed it out, add tags, and all that jazz and figure out what is do-able. While I'm at it, I should also go through my stash page and update everything. Ahhh...can't you tell that the new year is almost upon us? 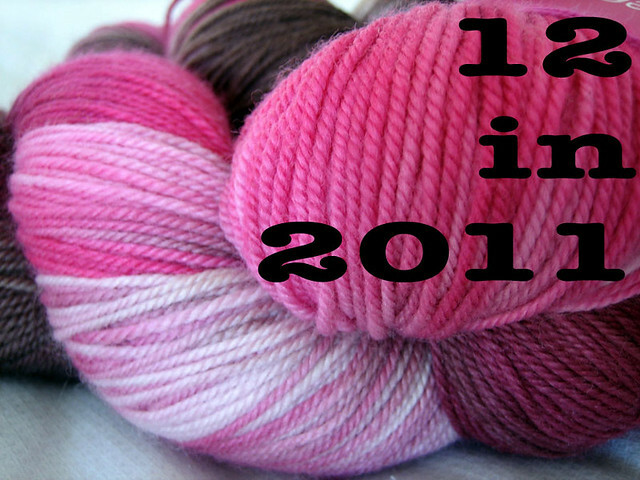 Is anyone else planning their 2012 knitting schedule? I can't wait to get started!! Yay! You totally killed it this year. I need to do a round up of my new years resolutions from this year. They may have to wait till the first week of 2012 cause I don't think I will get them done today. oh man, I think I need to take this on for 2012. Also, I'm thinking maybe I might start a blog too. I used to have one, but it fell by the wayside ages ago... hmmm, I wonder what I would call it? Looking forward to seeing you tonight chicky! Congratulations, that's awesome! 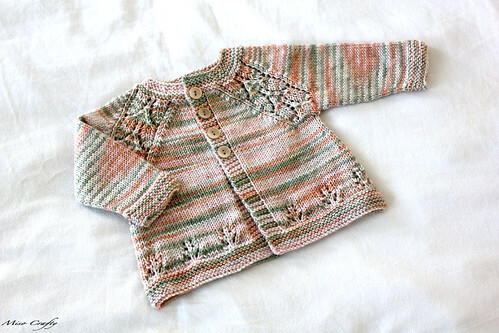 Also, your two adorable Maile sweaters have me scheming about using a skein of Dream in Color in my stash to make one... I don't even have a recipient baby in mind. They're that cute.